What? When it comes to dressing a room, it’s the little details that matter. 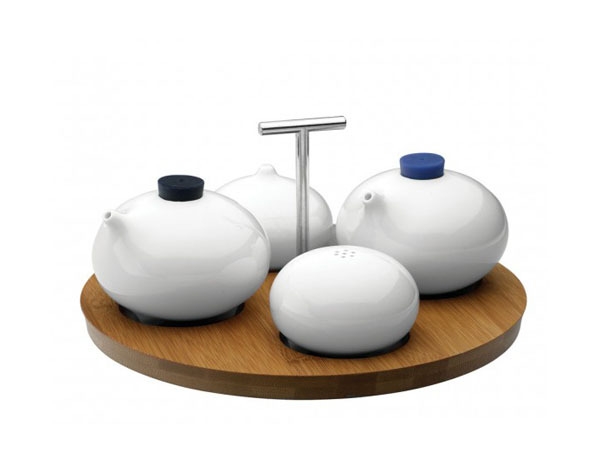 We think this little tripod condiment set from Loveramics is just the right amount of understated to fit into any home. Made from white porcelain with a wooden stand, it’s built to last. Plus, with salt, pepper, oil and vinegar, it’s really covered all the basis. Priced at £36.